Skin. 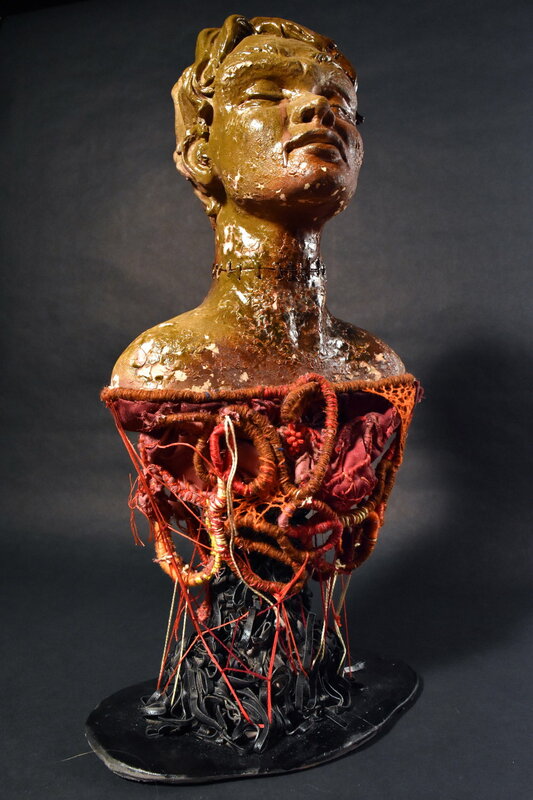 Stoneware, hand-embroidered fiber, and acrylic. 2015.